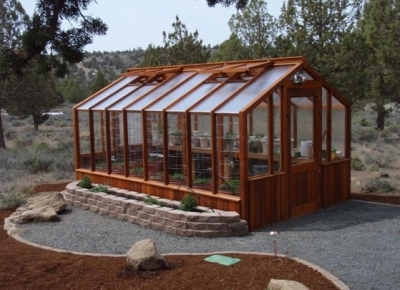 Fulfill your life-long dream of owning a beautiful hobby greenhouse. 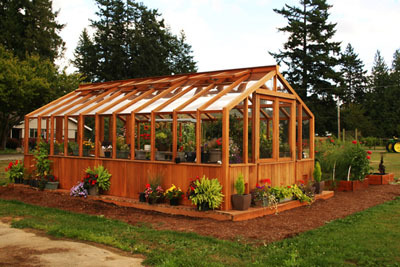 Add value to your property with a quality Western Red Cedar greenhouse. Designed to withstand both extreme snow and wind loads, our greenhouses will also withstand the test of time. 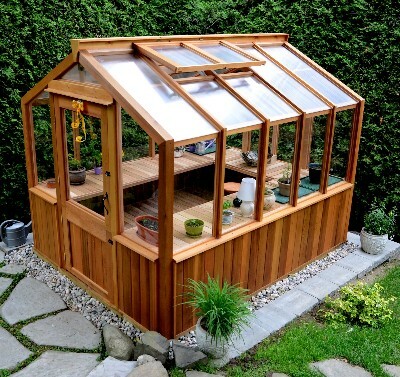 Cedar-Built Free-Standing Greenhouses have unique features which results in the sturdiest greenhouse kit you will find. 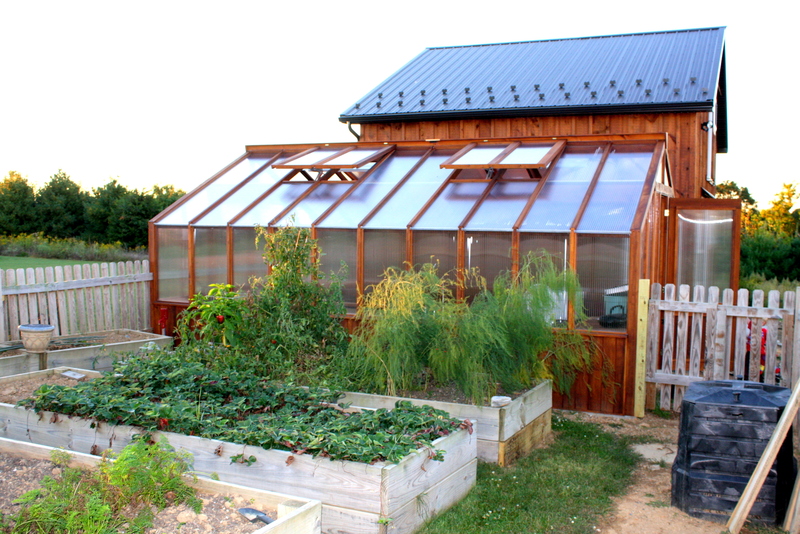 Constructed with 4x4 corner & door posts and 2x4 basewall & rafters, our Timber Frame greenhouses are substantial. 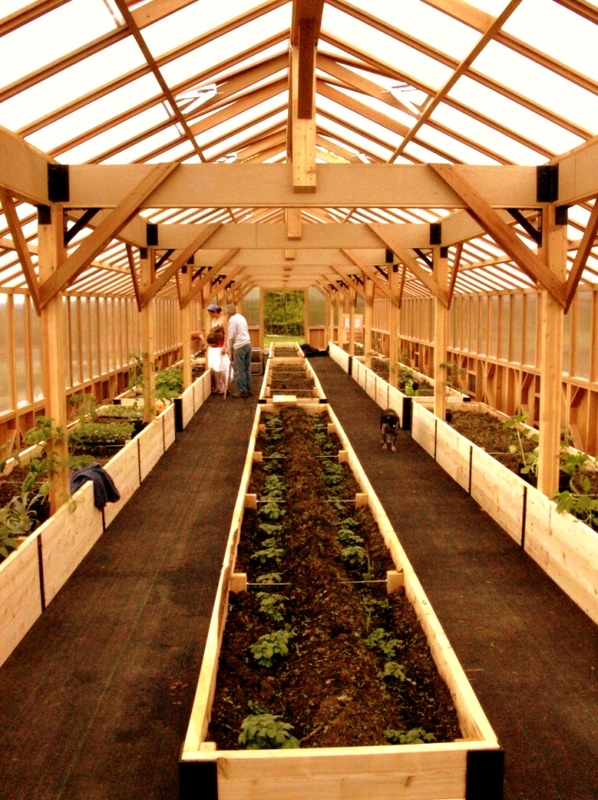 The ridge beam is 3 ply, constructed of one 2x10 and two 2x6 ' s. The beam and 4x4 posts are the back bone of the greenhouse. This design will stand up to the severest weather. Resistant to decay and insects, Western Red Cedar is world renowned & much sought after for its beauty and aroma. We use only the highest grade of this natural, renewable resource. 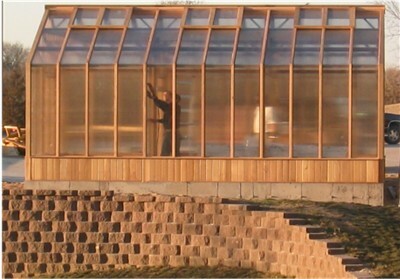 Copyright © 2000-2014 Cedar-Built Holdings, Ltd.
A most energy-efficient greenhouse kit. Available in any style or size.